Trade shows are great to meet potential buyers and to increase your network of suppliers. 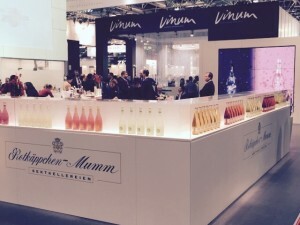 Thus, you will find here a few upcoming trade shows in the Food, Wine and spirits sectors that we closely monitor for our clients and to stay up to date on trends. This list will be updated this Spring for other shows scheduled in 2017. You do NOT plan to attend one of these trade shows? In order to stay up tp date on trends, opportunities and threats (potential competitors),we offer you the opportunity of scanning the field instead of you with our E&E service (Eyes and Ears) and to provide you with a summary report of a category ready to present to your team. Let us be your eyes and ears. Take action. Book a phone meeting A member of our team will find a solution for your needs.